The Legend of Zelda: Breath of the Wild served a staggering reminder: it was the most open-world Zelda game since the original. Everything in between, while not without opportunities to explore, had a linear order in terms of dungeons and major events. Cue The Untold Legacy’s Kickstarter, promising a return to form and then some. The developers at Iconic Games emphatically promise that The Untold Legacy will have a rich and inspiring story. They certainly have considered the game’s lore, and have a sense of character with the protagonist’s shield and companion, “Shieldpa.” At the same time, the conflict grounding the world is called the “Time Wars.” It is hard to see that being particularly cogent and my expectations for the story are admittedly low. However, that’s beyond okay. A world with complicated lore may be difficult to structure narratively, but can still win the day if the enemy designs and environments represent that creativity. And, all of it will be service to the handcrafted open-world. 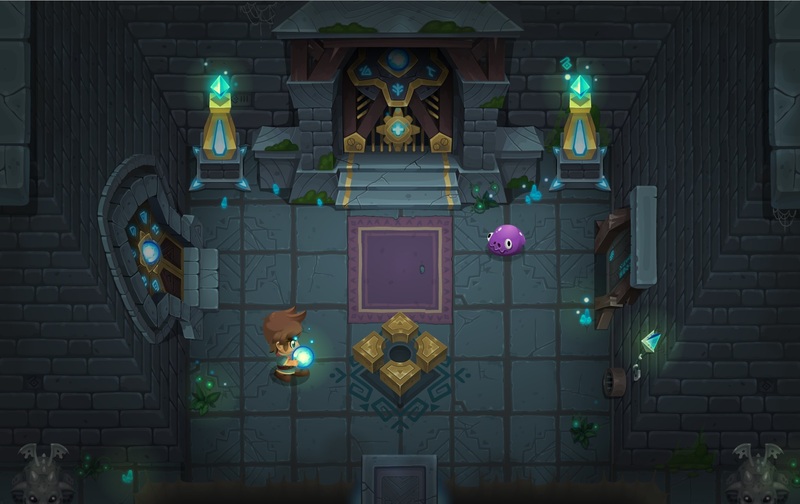 The top-down perspective and large map composed of screens are reminiscent of The Legend of Zelda accentuated by lush colors that mingle with attractive particle effects. Iconic Games explains that The Untold Legacy can be completed however the player wishes. There is no dungeon order that they must strictly follow. On top of that, given the player’s actions and accomplishments, the protagonist’s expressions and voice will reflect their situation. Struggling with a specific mob, for example, visibly causes him distress when it appears. The animation is rather simple and rigid, yet functions well enough to convey a breadth of individualized possibilities. Movement options through the environment are myriad, and the developers are pivoting away from crafting systems (though it will have cooking). The combat, according to the website, is responsive and dynamic. The sword combos and fighting in general resemble Final Fantasy Adventure. However, other combat options have yet to be fully revealed. 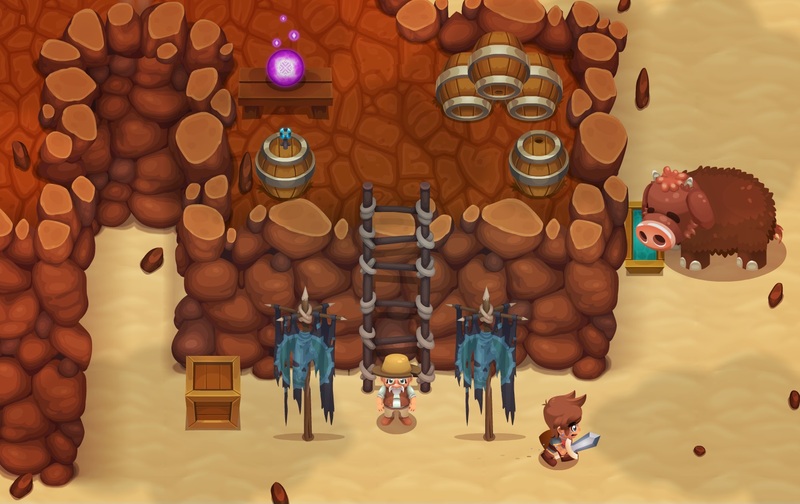 The developers are using their love of The Legend of Zelda to create something new. Their approach is familiar. Open-world is all the rage, after all. However, this blend works for me. If the game’s openness and systems can indeed inform palpable growth and exploration, then it will be one to remember. Even if I struggle to recall its forgettable title. Their Kickstarter is on-going, with a minimum goal of $60,000.